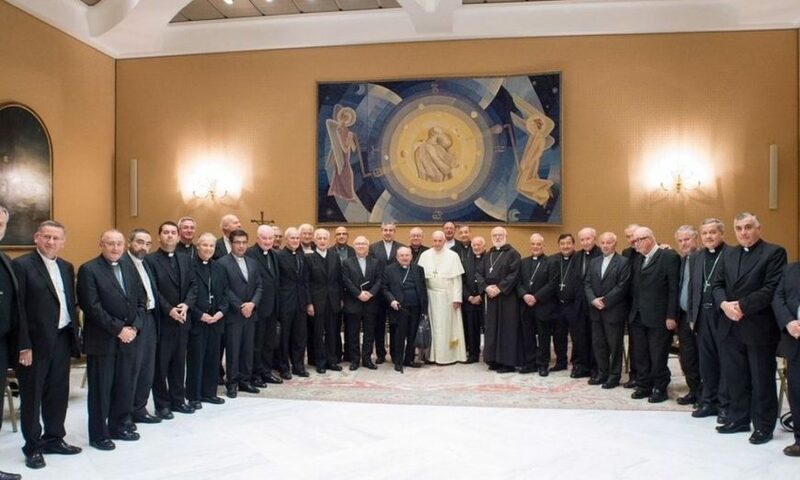 The 5-day Special Meeting of the Episcopal Conference (CECH) attended by the Bishops of the Chilean Catholic church concluded on Aug. 3, after which they released a document apologising for the sexual abuse scandals that have scourged the church. The church has been involved in a myriad of accusations of sexual abuse against minors, with Fernando Karadima at the forefront, who has allegedly been abusing minors since 1980. The scandal continued as it came to light that both cardinals and bishops had attempted to cover up these (and other) allegations within the church. The document’s contrite tone expressed the Bishops’ regret at “failing to fulfil [their] duty by not listening, believing, attending or accompanying the victims of grave sins.” The document also details steps the church will take in order to combat the clergy sexual abuse crisis that has shocked the country. The document, entitled the “Declaration, Decisions and Commitments of the Bishops Conference of Chile,” outlines national guidelines that all clergy members will follow in order to both reduce the incidence of sexual abuse and provide sufficient support for abuse victims. “Considering that recognition, truth and justice are always the first steps to reparation, we commit ourselves to work with the National Board of Abuse Prevention and Victim Accompaniment,” the document reads. They have also extended the responsibility of the organisation, and named lawyer Ana María Celis Brunet as the president, whereas before it was in the hands of bishops. As a response to the current sexual abuse accusations against clergy members, and in order to move away from allegations of sexual abuse cover-ups, one of the decisions made in the meeting was to collaborate with the Public Ministry. “From this date onwards, we will publicly publish all previous investigations about the alleged abuse of minors that occured within our jurisdiction. We will ask the same of our superior religious congregations.” They will also respect the wishes of accusers and victims who don’t wish to reveal their identities. “The law does not establish an obligation to us,” he said. “However, we want to deliver the maximum amount of information in order to help children who have been affected, we have to see how to do this to deliver the maximum collaboration with justice. The religious organisation will also work with their members to put a halt to future sexual abuse. They will elaborate and implement a protocol of good treatment in order to encourage the creation of relationships “based on a respect for human dignity.” This, along with a code of behaviour for clergy members will be finalised by April 2019. The Church has been under repeated criticism for withholding information and covering up repeated cases of sexual abuse against minors, with accusations starting as far back as 1984. In recent weeks, reported NCR, the National Prosecutor’s Office has raided Church offices and launched investigations into cases of alleged sexual abuse against minors that involves 158 Church officials.